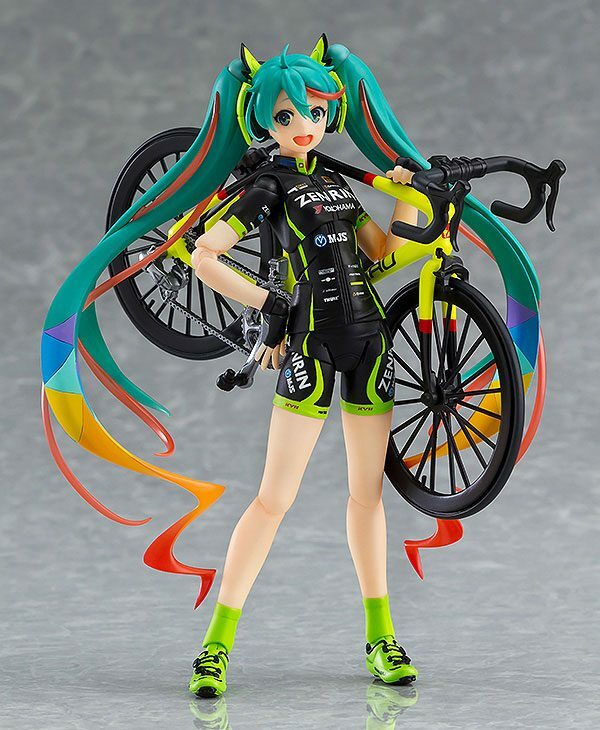 Zu `Racing Miku´ kommt diese detailreiche Actionfigur. Sie ist ca. 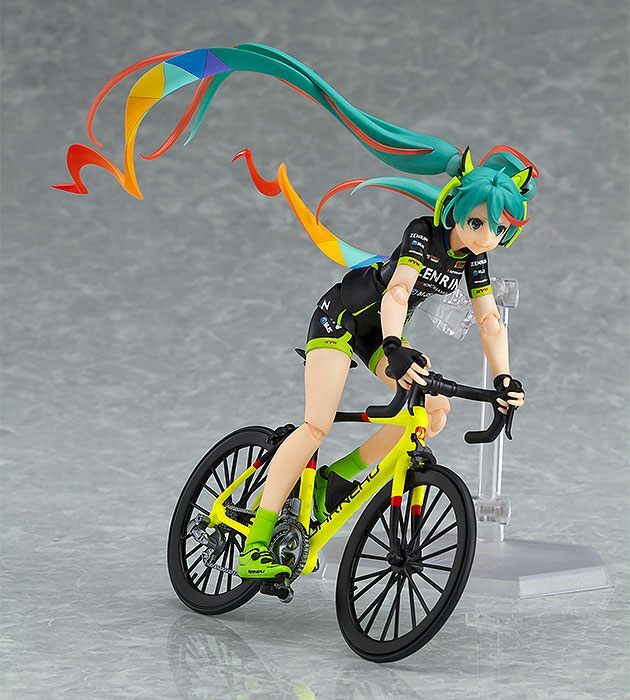 14 cm groß und wird mit Base geliefert. 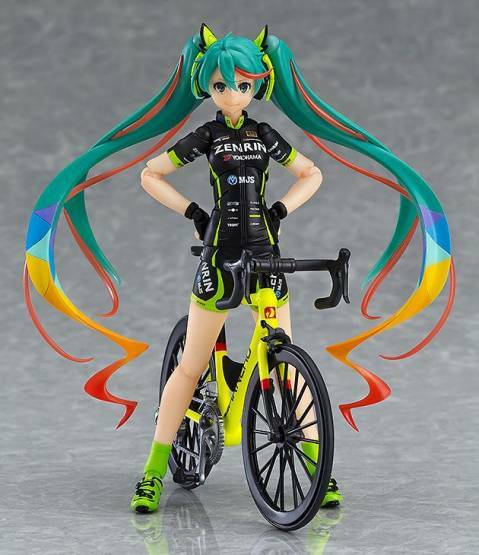 The 2016 edition of Racing Miku is here to cheer on for TeamUKYO! GOODSMILE RACING & TeamUKYO's team manager Ukyo Katayama also leads a bicycle team called TeamUKYO, and Racing Miku is here to cheer them on! 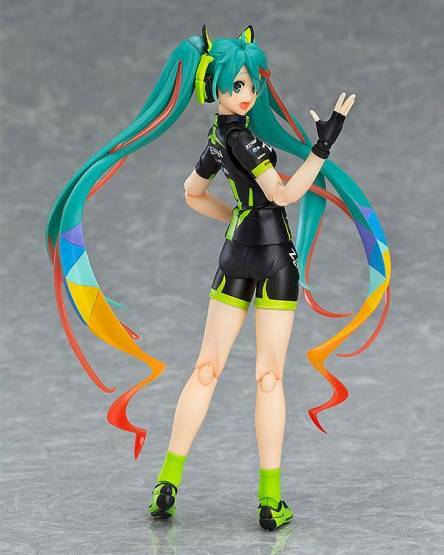 This special design of the 2016 edition of Racing Miku has now been transformed into a figma for fans to enjoy by their side. - She comes with both a cheerful smiling expression and a more serious, confident expression. 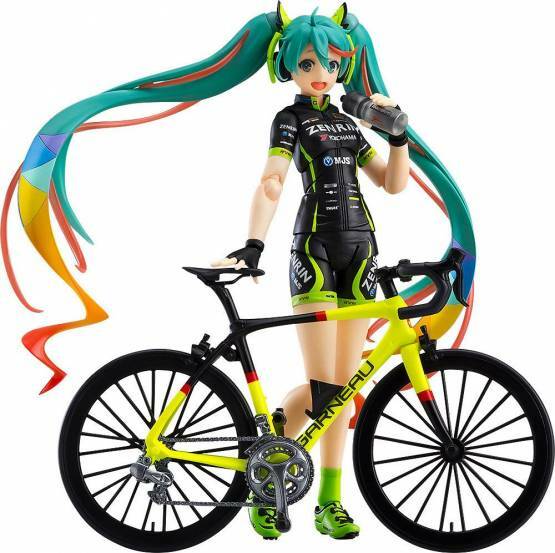 - Optional parts include a drink bottle as well as a partially pre-painted plastic model kit for a bicycle.